The 100 Mile Challenge – local food, local wine, local people brought five NSW regions to Sydney creating the ultimate showcase lunch based on the 100 mile concept – think global, eat local. These five regional teams created special menus drawing on produce from the communities that lie within a 100-mile area of their region. 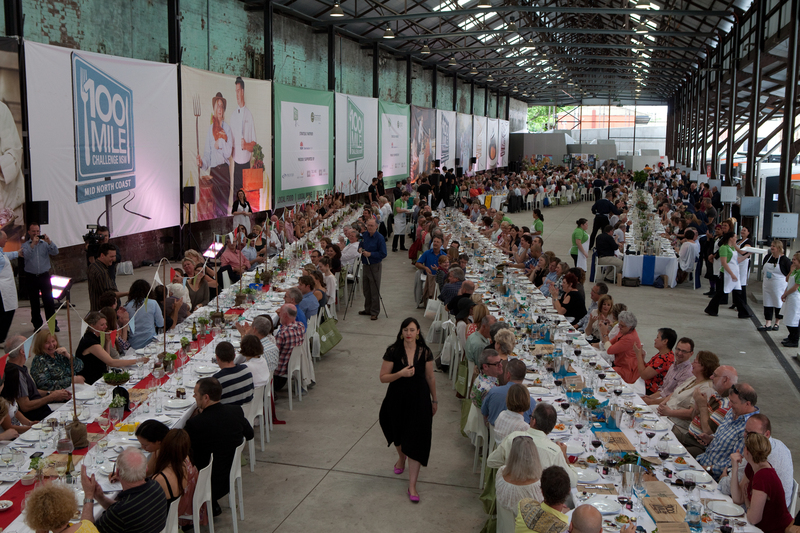 Part of the Crave Sydney International Food Festival, this event brought the best of regional NSW produce into the heart of Sydney for a mouth-watering banquet lunch for 500 at Eveleigh Markets, Carriageworks on Sunday 30 October 2011. The inaugural 100 Mile Challenge winner in 2011 was the South Coast. The other regions taking part were Central Ranges, Riverina, Mid North Coast and the Southern Highlands. Each region incorporated students from the local TAFE colleges studying hospitality, cooking and viticulture. Cre8ion produced this event on behalf of Events NSW.